Observation - wood pigeon - UK and Ireland. 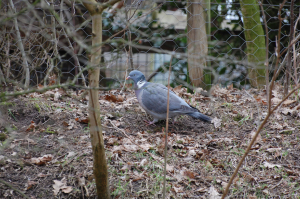 Description: Blue/grey plumage, white patch on the side of the neck. Blue/grey plumage, white patch on the side of the neck.